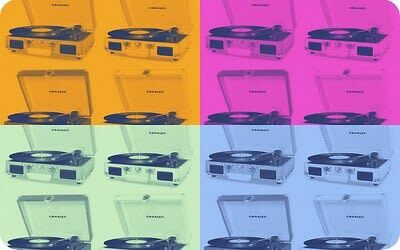 Did you catch the recent Crosley sale on Gilt and curse the tech company for coming out with a turntable even brighter, shinier, and more retro than the Crosley record player you're currently toting to social events? We figured that since we can't revel in all of today's retro tech glory, we would round up some of our favorite finds for you - and then you could invite us over. Please? We'll bring the vinyl and the vino!